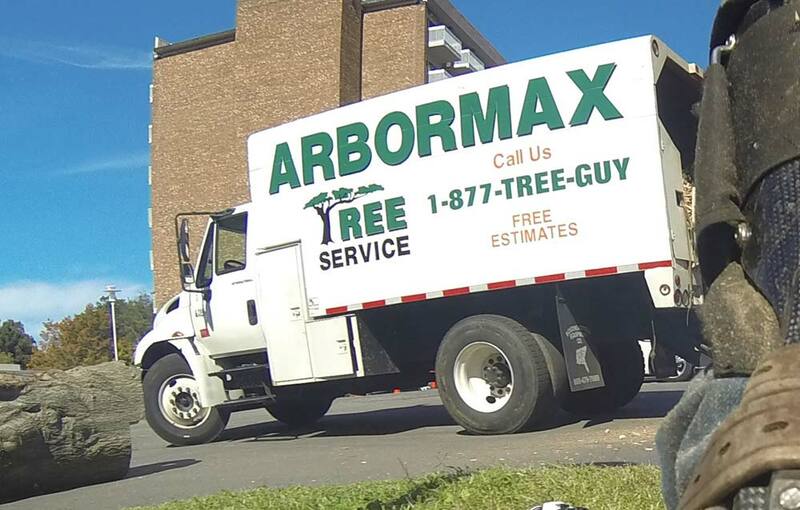 We are fully equipped to handle all of your tree service needs. 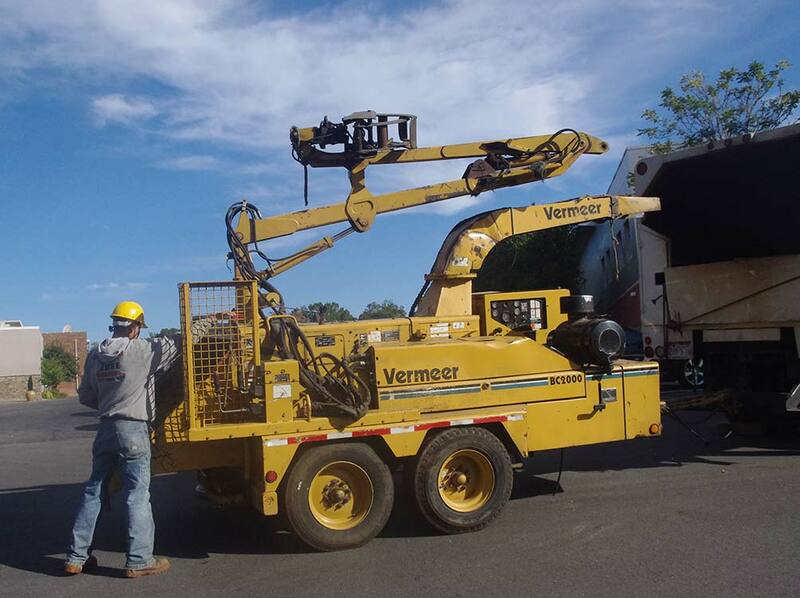 We own and operate every type of equipment known to the tree service industry. Please take a moment to check out our equipment. This is our 60 ton hydraulic truck crane. 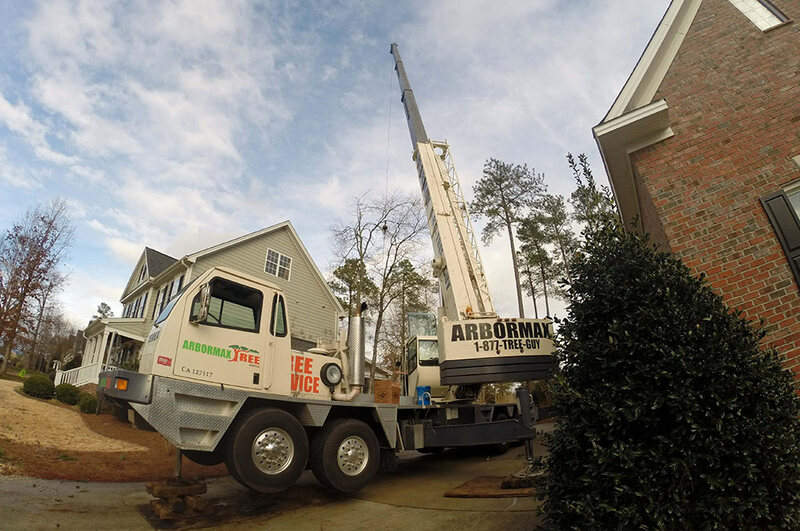 It allows us to safely remove trees without dropping them into your landscape. We can safely remove trees up to 120 feet away from the crane. 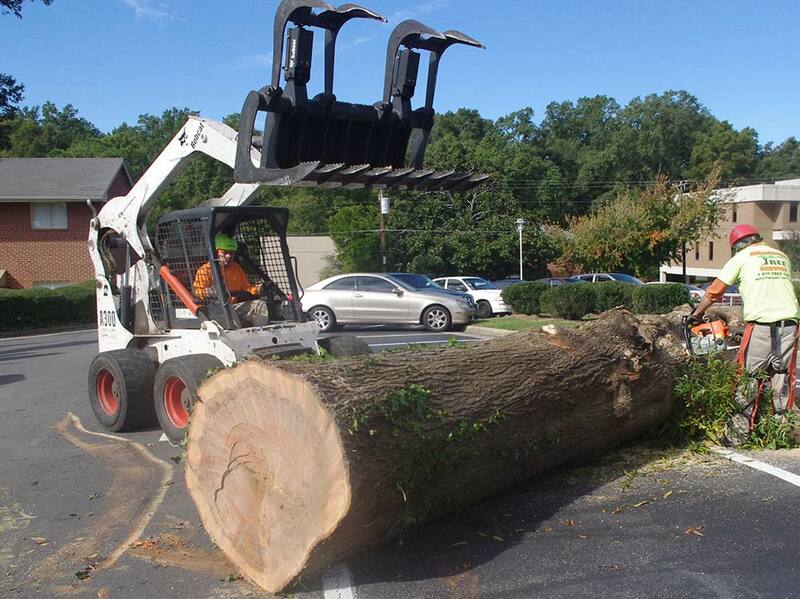 Our Bobcats and log loaders efficiently remove logs and debris from your property. Each bobcat is specially equipped with turf tires and all-wheel steer. This is our 80 hp stump grinder. It is operated with a remote control from a safe distance. 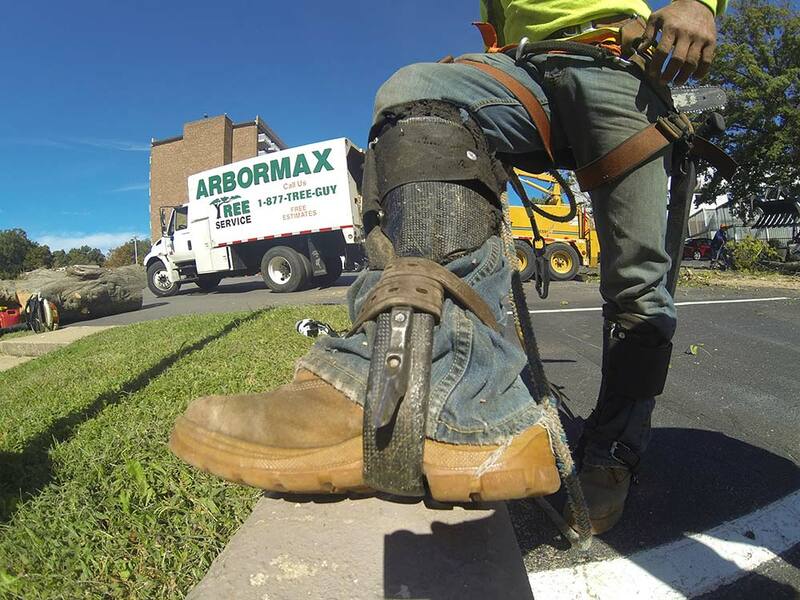 The rotating wheel on the front has carbide teeth that turn any stump into mulch. This is a closeup of a pair of tree climbing spikes. If you look at the spike on the inside you will see where it penetrates the tree. This is the most common piece of gear for a tree climber. We have many wood chipper that range in size and power. 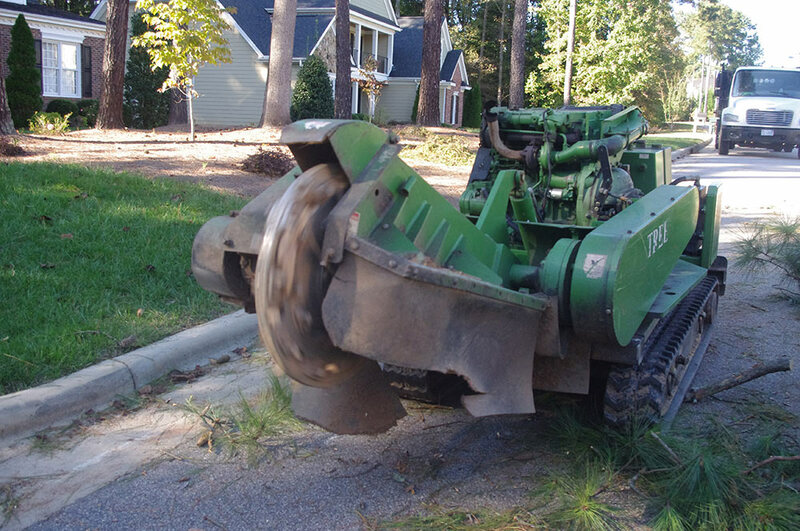 This chipper has the ability to chip a 20 inch diameter log in no time. Our chipper trucks are the workhorses of the fleet. They dispose of all the material from the job sites, excluding the logs large enough to take to the mills. Chainsaws are the most important tools in our arsenal . There are two types of modern chainsaws. One being a top handled or climbing saw. This saw is lightweight, compact and specifically designed to remained balanced with little effort. This is very important for tree climbers when they are working aloft in precarious positions. The power to weight ratio is unmatched by any piece of gas powered equipment. The second type of chainsaw is the traditional design or ground saw. These saws are able to accommodate a larger bar and chain than climbing saws. they are most often used for cutting large pieces of wood and logs and dismantling trees once they have been cut down.